“My advocacy is to restore the intellectual tradition of spirituality in education, governance, development, and diplomacy,” said Dr. Consolacion Rustia Alaras, Professor at the Department of English and Comparative Literature (DECL), College of Arts and Letters, UP Diliman, and one of the nominees for the UP presidency. Known for her strong spiritual beliefs and quick-witted remarks, Alaras credits her advocacy to the Kapatiran Katipunan Rizalistas, a non-government organization that advances the concerns of the marginalized and the poor and whose ideals are anchored on Dr. Jose Rizal’s teachings. This former DECL chair joined the group in 1979. The next UP presidency, according to Alaras “will be an occasion to consolidate all the gains made by the previous UP presidents in making a difference for the nation.” She added, “This time we hope to provide the nation a radiant experience of transformation and unity for peace and development.” She also emphasized, “We have to provide our students a radiant experience of a shared vision and direction” (Source: http://www.up.edu.ph/oldsystem/search_candidates.htm). 2. Azanza, Patrick Alain T.
Dr. Patrick Azanza holds a Juris Doctor (JD) degree (2008) from the UP College of Law at U.P. Diliman and a Ph.D. In Educational Administration (2003) from the U.P. College of Education at U.P. Diliman. He is the recipients of three UP Presidential Scholarship Grants at the B.A. M.A. And PhD. Levels. He graduated with a B.A. Sociology Degree from U.P. Los Banos. He is currently a senior lecturer at the U.P. College of Education. Republic of the Philippines to outstanding civil servants) given in his capacity as Director of the Human Resources Development Office of the UP System on the occasion of the 96th Anniversary of the Civil Service Commission at Malacanang Palace, September 13, 1996 and is currently President/CEO, Winsource Solutions Inc., WBSI Epicor-Philippines from 2009 to the present, Chairman of the Board, Intergritas Inc., 2009 to the present and President, Center for Community Preparedness and Development Inc., 2010 to the present and Chief Operations Officer, AMA Computer University, September 21, 2005 to October 2008. “Ang UP ay dapat na nagbibigay-diwa sa sambayanan. Ito ang tagapagmulat at pangunahing tagapagsulong sa pag-unlad ng ating bansa. Subalit sa ngayon ay inaakusahang nawala na ang diwa ng kahusayan (sense of greatness) ng UP at nakikita itong alienated mula mismo sa lipunang dapat nitong paglingkuran. Tila umano ay naglaho na ang tatak ng UP bilang isang komunidad ng mga iskolar na may nakaatang na dalisay na responsabilidad bilang tagapagdalumat para sa ating bansa. Wika nga ng iba: UP should think for the nation. Dahil mismo sa compartmentalization ng mga pang-akademikong sangay, nawawalan ang UP ng coherence upang makita ang pangkalalahatang kalagayan at interes ng ating bansa na siya nitong dapat na isinusulong. Dr. Leonor Magtolis Briones is the Former Treasurer of the Philippines under the term of former President Joseph E. Estrada, lead convenor of Social Watch Philippines and the former President of the Freedom from Debt Coalition, former Vice President for Finance and Administration of the University of the Philippines System, former Secretary to the Commission on Audit, former Chair of the Board of Trustees of Silliman University, lead convenor of Social Watch Philippines and member of the faculty of the National College of Public Administration and Governance (NCPAG) of this university. Dr. Briones has established her reputation through her research, teaching and writing of textbooks, monographs, papers and articles. Her fields of specialization are in general public administration, including fiscal administration, local government and public enterprises (government-owned or controlled corporations). Prof. Briones’ book, Philippine “Public Fiscal Administration,” is used in all schools of public administration in the country. Her case studies and other papers on corruption continue to be used in the John F. Kennedy School of Government in Harvard University as well as in other schools. 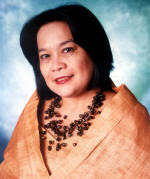 Esperanza A. Icasas Cabral, M.D., was the Secretary of the Department of Health in the Philippines. She took office in January 2010 replacing Dr. Francisco Duque after his appointment as head of the Civil Service Commission. Before her appointment as Secretary of Health, she was previously the Secretary of the Department of Social Welfare and Development, replacing Corazon Soliman. Dr. Cabral is married to Dr. Bienvenido Cabral, an ophthalmologist. Dr. Cabral, who is a cardiologist and clinical pharmacologist, graduated from medical school at the University of the Philippines. She extended her medical and pharmacological training at the U.P. Philippine General Hospital, Harvard Medical School, Massachusetts General Hospital, and the Joslin Clinic in Boston, Massachusetts. Dr. Cabral has long served as an educator and leader in Philippine medicine. At the University of the Philippines College of Medicine, she was a professor of medicine and pharmacology. She served both as Director of the Philippine Heart Center and Chief of Cardiology of Asian Hospital and Medical Center. She authored and co-authored more than 85 scientific papers on hypertension, cardiovascular pharmacology and clinical and preventive cardiology. She educated the public as a TV show host on "HeartWatch" on IBC Channel 13 and "InfoMedico" on NBN Channel 4. 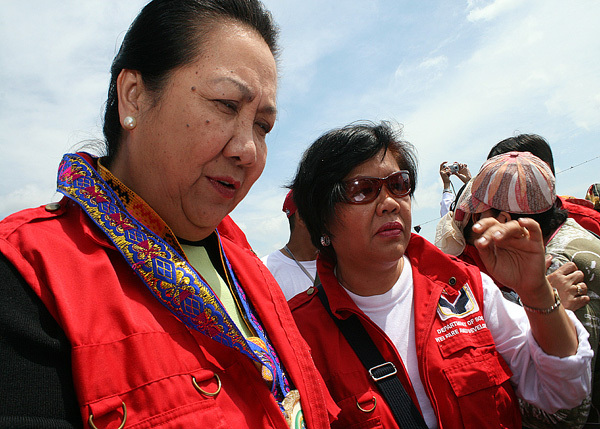 She served during the administration of President Corazon Aquino as Director of the Philippine Heart Center. She also consulted for the Dangerous Drugs Board (DDB), the Bureau of Food and Drugs (BFAD) and the Department of Health. Earlier she served as Commissioner for Science and Health on the National Commission on the Role of Filipino Women. She has earned a number of awards. In 1981, she received the National Outstanding Young Scientist for Medicine Award from the Department of Science and Technology. In 1982, the Philippine Society of Experimental & Clinical Pharmacology's Achievement Award. In 1986, she was named the Outstanding Woman in the Nation’s Service for Medicine. In 1991, she received the first Dr. Jose P. Rizal Award by the Philippine Medical Association. She has also been named the Most Distinguished Scientist by the Philippine Heart Association in 1993, the Outstanding Alumnus for Research for 1993 by the UP College of Medicine and the Distinguished Researcher for 1998 by the Philippine College of Physicians. Dr. Sergio S. Cao is currently the 8th Chancellor of U.P. Diliman and was elected Chancellor of U.P. Diliman by the UP Board of Regents at its 1193rd on February 24, 2005. He has been serving as U.P. Diliman Chancellor since March 1, 2005, and is currently completing a second consecutive term of office. Chancellor Cao, 43, has a doctorate degree in mathematics from U.P. Diliman (1991) and is a professor at the College of Business Administration. He served as University Registrar for UPD from 1993 to 1997 and as Vice President for Finance for Planning and Finance of the UP System from 2001 to 2004. He was elected Faculty Regent in 2004. Dr. Cao's field of expertise is in finance. Dr. Cao's recent publications in the field of finance include the following: “Cost-Volume-Profit Analysis.” In Management Accounting and Control: Text and Philippine Cases, 2002, “Value at Risk: An Introduction.” DCF Technical Notes. Vol. 1, No. 1, April 1999 “Credit, Derivatives and the Global Financial Crisis.” Professorial Chair Lecture, 2008.“Public Financial Management Module on Financial Performance Monitoring and Evaluation.” Professorial Chair Lecture, 2007, “Control Issues on Selected Budgetary Items in UP Diliman.” Professorial Chair Lecture, 2006. Dr. Benjamin E. Diokno (born March 31, 1948) was Secretary of Budget and Management of the Philippines in the administration of President Joseph Estrada, from July 1998 until Estrada's ouster in January 2001. 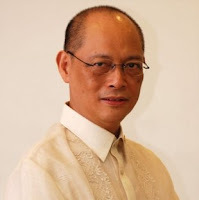 Diokno also served as Undersecretary for Budget Operations at the Department of Budget and Management, form 1986-1991, during the administration of President Corazon Aquino. he has a Ph.D from Syracuse University. During the Estrada administration, Diokno initiated and instituted several reforms that would enhance transparency and improve the efficiency of the delivery of government services. The first major reform instituted was the "what you see is what you get" or WYSWIG policy that is a simplified system of fund release for the General Appropriations Act (GAA). This allowed agency heads to immediately plan and contract out projects by just looking at the GAA, which is available in print and at the DBM website, without waiting for the issuance of an allotment authority. Diokno initiated the reform of the government procurement system (GPS) through the adoption of rapidly improving information and communications technology. He secured technical assistance from the Canadian International Development Agency (CIDA) to help the GPS develop an electronic procurement system along the lines of the Canadian model. By August 1999, the DBM had two documents necessary to initiate reforms in public procurement. In early 2000, Diokno and USAID successfully concluded a substantial technical assistance program for the DBM's budget reform programs, which now included procurement reform.Other budget reforms instituted by Diokno concerned procedures for payment of accounts payable and terminal leave/ retirement gratuity benefits. The release of cash allocation were programmed and uploaded to the department's website while payments were made direct to the bank accounts of specific contractor. The growing budget deficit was of large concern during Diokno's tenure, with the National Economic and Development Authority director citing it as the government's biggest problem. The government ended 1999 with a budget deficit of P114 billion, overshooting its target of P101 billion which had previously been increased from an original target of P68.4 billion. The government missed its target by a far wider margin the next year, set an original deficit target of P62.5 billion for 2000, yet occurring a full-year deficit of P130 billion. This is higher than the P126.5 billion "worst case scenario" figure from the International Monetary Fund. As a professor at U.P. Diliman's school of Economics, Dr. Diokno provides policy advice and conducts research in the following areas: public economics (with focus on structure and scope of government tax policies and tax reform; government expenditure analysis; national budget, deficit and debt; and decentralization and intergovernmental relations),public expenditure management, resource economics (with focus on public policy on water and oil), and economic development (with focus on ASEAN transitional economies). 7. Diokno, Ma. Serena I. In her own words, in “Summary of Work Done,” a paper written by her to support her nomination for U.P. Diliman Chancellor in 2004 Dr. Diokno describes herself as a professor from the department of History at U.P. Diliman and is a faculty affiliate of the Ph.D. Philippine Studies Program and the Center for International Studies. Dr. Diokno has a Ph.D. in History from the School of Oriental and African Studies, University of London. Since 2000 she has had seven international publications, including an anthology of articles coe-edited with an anthropologist from the National University of Vietnam-Hanoi. Most of her publications are chapters in books published by university publishers in the U.S., U.K., and Oxford University Press in New Delhi. Her articles have dealt mostly with Southeast Asian history and the Philippes during the American colonial period. In 2004 she she contributed two articles to the book, “Managing a Modern University in the Philippines,” edited by Ester Garcia (U.P. Press): “Planning, Design and Review of the Curriculum,” and “Assessment of the Academic Performance”. Howeverm she says history is her true passion and is the author of one volume (Up from the Ashes, vol. 8) and co-authored another (Life in the Colony, vol 4) of the ten-volume series, “Kasaysayan: The Story of the Filipino People (1998) and has written mostly on the late 19th and early 20th centuries. Dr. Diokno is one of twelve cenennial Fellows named by U.P. President Emerlinda R. Roman. Previous awards include U.P. International Publication Awards (2006, 2005, 2002, 2000 and 1999); Outstanding Professional in Education by the U.P. Alumni Association (2000); U.P. Outstanding Book Award for the three-volume series on Democracy and Citizenship in the Philippines, the first volume of which she contributed to and edited (1998) and the Dona Aurora Aragon Quezon Peace Award (1995). In terms of administrative experience, She was Vice-President for Academic Affairs (1999-2005) where she helped conceptualize and implement the following: the revitalization of the General Education Program; the establishment of a range of incentives to support academic excellence such as international publication awards and research grants and the modernization of laboratories, including the establishment of multimedia centers in every campus of the U.P. System. She was also Associate Dean of the College of Social Science and Philosophy (1992-1998), Director of the Third World Studies Center (1995-1999), and Director of the Program on Peace, Democratization and Human Rights of the U.P. center for Integrative and Development Stufies (1995-1999), as well as sitting on its Executive Committee. Dr. Diokno was elected by the Univesity Council to its Executive Committee (2008-2011), a position she was also elected to in the mid-1990s up to the time she was appointed VPAA. She also served on various department, College, University Council and U.P. System Committees. Aside from being a professor of and an expert on Constitutional and International Law, Former UP College of Law Dean Raul Pangalangan Pangalangan is also an advocate of judicial reform as Chair of a non- government organization, Bantay Katarungan where he helped in the petition to Commission on Election to release the names of partylist representatives which they also won. He has also been engaged in what he calls a public interest practice of law doing pro bono work on cases involving public interest. He considers these two involvements his greatest contributions to the court when appointed. In his two- term stint as Dean of the UP College of Law, he said that one of his accomplishments was his efforts to improve the quality of life of the students by raising funds for scholarship from donors with whom he made clear that the only thing he could give in return was a thank you. His greatest challenge, on the other hand, was when the Supreme Court appointed him as amicus counsel in the impeachment of then Chief Justice Hilario Davide. While he believed that CJ Davide was innocent from the impeachment charges and that the case was not ripe for adjudication, he was also aware that there were rules to follow. He said he was glad that the case did not prosper. Although he spent many years in the academe, he said that he is also familiar with the actual practice of law since he has done the works of a practicing lawyer in the early years of his career and with the limited private practice allowed by UP. His one foot, he said is in the academe and the other, in the actual practice. One of the biggest cases he handled was the reclassification of San Miguel Corporation stocks. Alumni Regent Alfredo E. Pascual (“Fred”) is an international finance and development professional with 37 years’ track record as banker, consultant, and academic. Having retired from the Asian Development Bank (ADB) in late 2008 after 19 years of service, Fred now spends his time combining volunteer work in the Philippines with consulting in the Asian region. He was recently elected President of the University of the Philippines Alumni Association (UPAA) for a three-year term and inducted as Regent on the Board of the University of the Philippines also for a three-year term. In ADB, he served as Director for Infrastructure Finance, Director of Capital Markets and Financial Sectors, Advisor for Public-Private Partnership in Infrastructure, Senior Investment Officer, among other positions. He managed/supervised/led the development and financing several financial institutions and infrastructure projects across Asia, including Afghanistan, Bangladesh, China, India, Indonesia, Malaysia, Pakistan, Philippines, Thailand, and Vietnam. Prior to joining ADB, he had worked in banking and academic fields. For eight years, he held senior executive positions in internationally-affiliated investment banks in the Philippines, such as First Metro Investment, Philippine Pacific Capital (now RCBC Capital), and Bancom. He spent nine years as professor of finance at the Asian Institute of Management (AIM). Dr. Virginia A. Teodosio, has a Phd in Economics (Political Economy, The Univesity of Sydney) and is a professor at the School of Labor and Industrial Relations (SOLAIR) at U.P. Diliman. She is the Chairperson, UP Employees Housing Cooperative (UPEHCO), Founding Director, Philippine Cooperative Center, Founding Director, Women in Shelter and its Environment and Board Member, Social Weather Stations (SWS) and Administrator, Cooperative Development Authority (August 2000 – January 2005). Some of Dr. Teodosio's researches and publications include: "Globalization, Social Change and Cooperatives," Provincial Cooperative Congress, Albay Astrodome, 14 October 2000, Legazpi City, "Public Sector Employees and Privatization: Emerging Realities and Challenges in the 21st Century," Government Employees Symposium on the Impact of Privatization on the Public Sectror, Provincial Capital, Puerto Princesa City, Palawan, 7 August 2000, "Challenges and Options for Philippine Agriculture Cooperatives, Roundtable Meeting on Globalization and Liberalization. Challenges and Options for Agriculture Cooperatives," 29 January-2 February 2001, Bangkok, Thailand., "Cooperatives and the Social Economy," April 2001, University of Barcelona, Spain, "Capacity Building of Agriculture Cooperatives in the Philippines," FAO-NEDAC Round Table Meeting, 24-27 September 2001, Beijing, China, "Ownership and Empowerment: Mainstreaming Vulnerable and Marginalized Groups, National Conference on Prosperity Building for the Poor," W. Sycip Policy Center, World Bank and Konrad Adenuer Stiftung, 25 June, 2001, AIM Conference Center, Makati City, How Entreprenuerial are Philippine Agriculture Cooperatives? Development of Business Planning Management Skills for Viable Entreprise Development by Agriculture Cooperatives, 20-30 April 2003, New Delhi India, "Agriculture and Philippine Cooperatives: Some Initiatives, Seminar on Information Technology and Computerization of Agriculture Cooperatives," 29 October-1 November 2003, Kathmandu, Nepal and "The Role of ICT in Philippine Cooperatives, Agriculture Cooperatives and Information Communication Technology: Advancing Sustainable Social Entrepreneurship in a Global Economy," 24 April 2004, Changmai, Thailand. Dr. Luis Rey Velasco is an Associate Professor at the Department of Entomology, College of Agriculture (CA),and has been Chancellor of U.P. Los Banos since November.1, 2005. 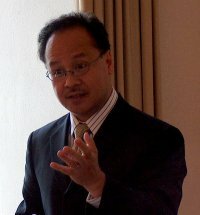 Dr. Velasco obtained his BS in Agriculture (1978) and MS in Entomology (1982) degrees from UPLB, and his PhD degree in Entomology (1990) from the University of Queensland, Australia. His professional career spans more than two-and-a-half decades of administration and management, college teaching, conducting research and extension, and rendering technical services to various government agencies, mostly in the agriculture sector. As dean of the CA from 1999 to 2002, he provided the leadership for the reorganization of the college and spearheaded the development of curricular proposals for BS Landscape Architecture and BS Agrobiotechnology. He likewise reorganized the National Crop Protection Center (NCPC) and established three units as director from 1995 to 1999. He has contributed to the country’s agricultural development as chair, member, adviser, and consultant in various committees and programs of the Department of Agriculture (DA), Philippine Council for Agriculture, Forestry and Natural Resources Research and Development (PCARRD). He is Chair of the Technical Panel for Agricultural Education of the Commission on Higher Education (CHED) since 2005. He has led researches and published papers on agricultural enterprise, surveillance and detection of pest, pest control, and IPM. A member of six professional associations, he has served as president of the International Society for Southeast Asian Agriculture Sciences (2001) and as board member of the UP Alumni Association for the last five years. Join the Philippine Social Entrepreneurship Club! UP’s Next Sustainability President – Anyone? For a PhP 50.00 Donation you get this much!